We all crave gorgeous hair that is manageable with a beautiful shine. With the sun shining down on us we also have to think about protecting our skin. Every time spring rolls around, I am reminded that I need to protect my son’s skin as well as my own. What’s the real story with Wen? 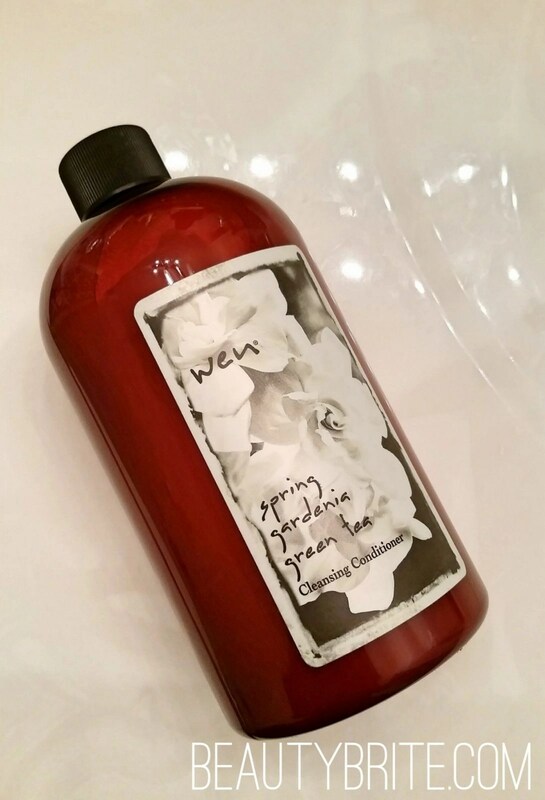 I’ve been using Spring Gardenia Green Tea Cleansing Conditioner from Wen. I enjoy using Wen because it is only one step for cleansing my hair in the shower. I just apply it from my scalp to the ends and leave in while I exfoliate and cleanse the rest of my body. Wen suggests several pumps of product to cleanse your hair. Since I have shoulder length hair, I usually use a pump at a time and go from there. 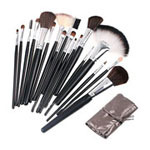 I don’t like to waste product, so I use a pump or two and see how that goes and add another pump of product as needed. Wen feels like conditioner because it doesn’t suds up like the traditional shampoo. I massage Wen on my scalp and work my way down to the ends. Wen leaves my hair feeling softer and full of body. 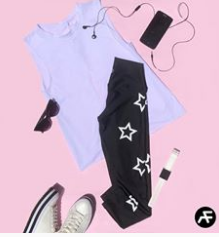 There is added shine too. I love the smell of gardenia so the scent is an added bonus! 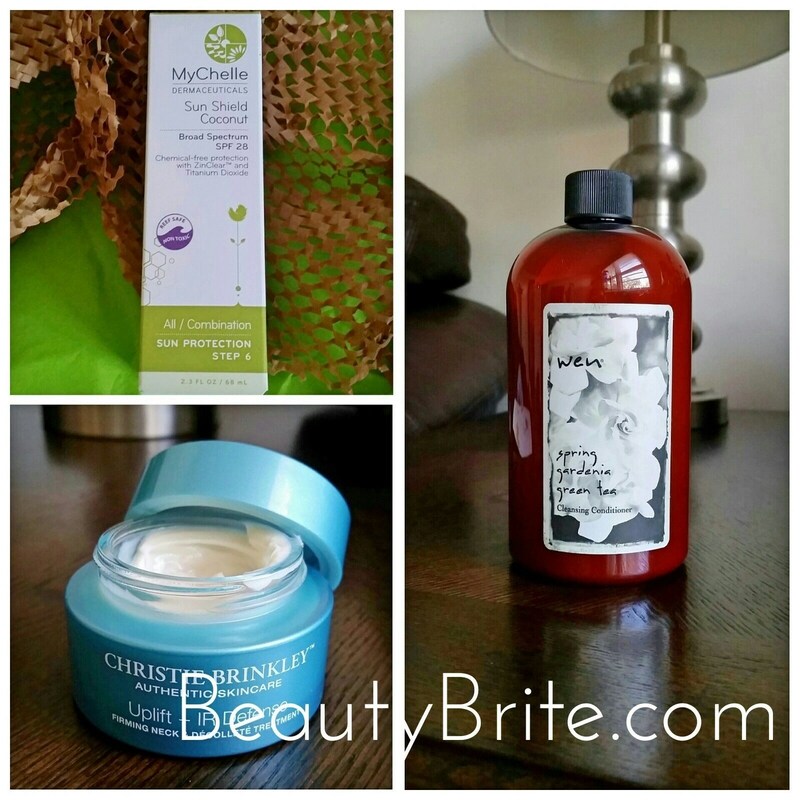 Do you use a neck and décolleté cream? 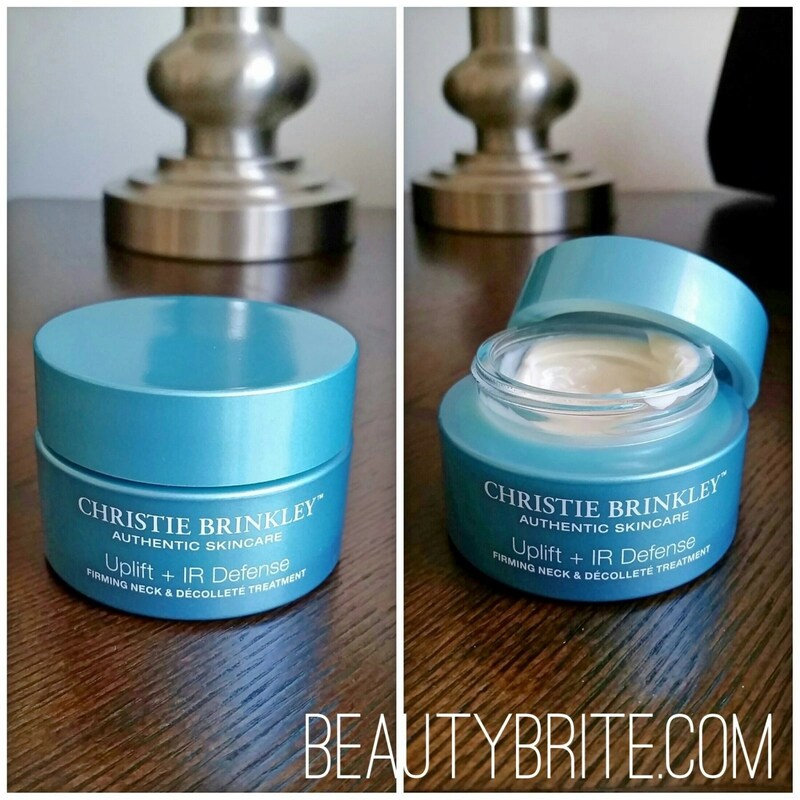 Christie Brinkley Authentic Skincare line is certified vegan and cruelty-free with 100% vegan formulations. Looking for a vegan sunscreen? 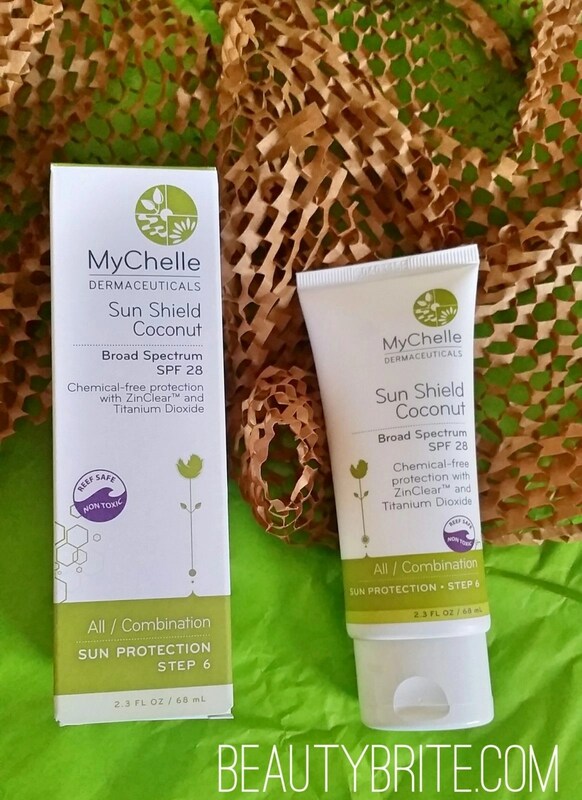 I am so excited to have found MyChelle SunShield Coconut SPF 28 as I can use it on myself and my son. I use it on my face and neck and apply to my son the same way. He doesn’t really mind that I apply sunscreen on his face and neck; I really think he likes the attention! He always has a smile on his face and gets a little squirmy because he’s so ticklish. I love coconut as well. I use coconut oil for many beauty uses such as moisturizer, makeup remover, hair conditioner and more.